in Arkansas USA, DENNIS LORD ,COLIN JOYNSON and JON RITCHIE. Sorry to hear about Al, we had some good times together Billy Robinson. 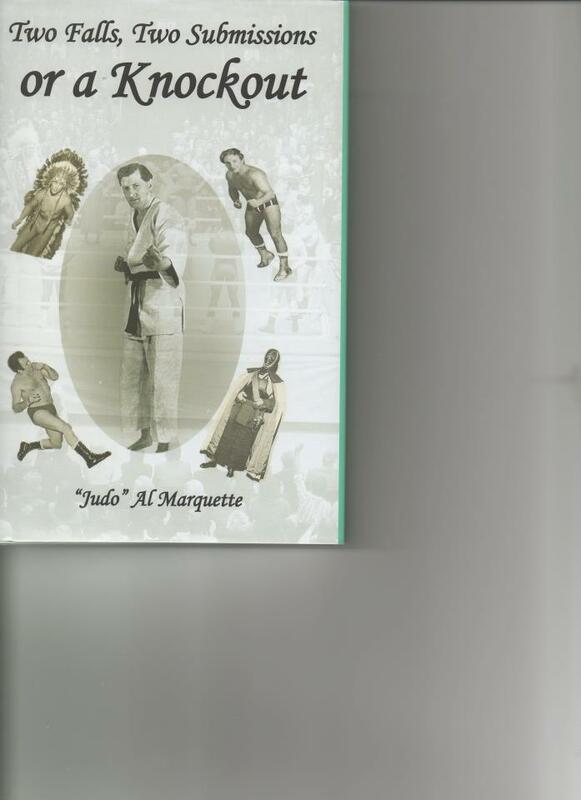 Alf Margetts, known to wrestling fans as Judo Al Marquette, has died aged 88. In a sporting world where many are different but few, if any, are unique, Judo Al Marquette came just about as close to unique as is possible. Alf, the first to admit that he enjoyed a bit of a fight as a child, became interested in wrestling when he watched it at the Ardwick Stadium in Manchester. of Jack Pye, Man Mountain Benny and Bert Assirati. Alf was a man who loved his wrestling and all his life was defiantly protective of the good name of the sport. His entry to wrestling came via an interest in martial arts, Alf being a judo instructor for Stockport Education Authority. Working for the independent promoters Alf's style, a mixture of judo, wrestling and humour was an immediate hit with fans. Few described as unique deserve the accolade, but in Alf's case it was true. His humour in the ring was no knockabout style but mirth created by the intelligence and complexity of his moves, the tying his opponents arms in a knot being a speciality. Steve Logan at the Royal Albert Hall and achieved nationwide popularity through his numerous television appearances. in his autobiography, "Two Falls, Two Submissions or A Knockout," and enjoying a comfortable retirement with his wife, Pat, in their Stockport bungalow. Alf Margetts died 23rd February, 2012.